A friend of mine (hi Ellie!) 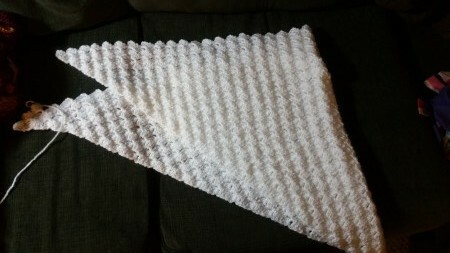 just got started crocheting, and asked me for a shawl pattern that was relatively simple for a beginner. I’ve been cranking out Corner to Corner blankets like nobody’s business for the past couple of months, and Ellie and I both figure that half of a Corner to Corner blanket would make a pretty awesome shawl. However, the pattern for the Corner to Corner blanket is written rather complicatedly, despite it being a simple pattern to work. 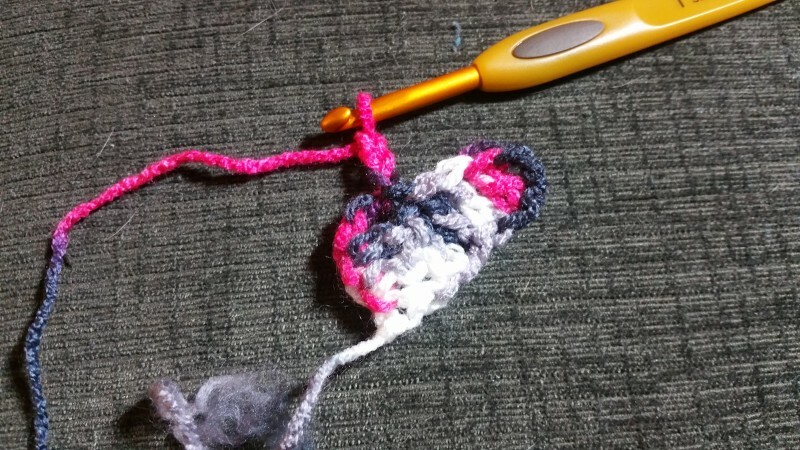 So, here comes The Crafty Nerd’s first ever crochet pattern – even if it’s just a simplified writing of an existing pattern! And, of course, I’m including pictures. 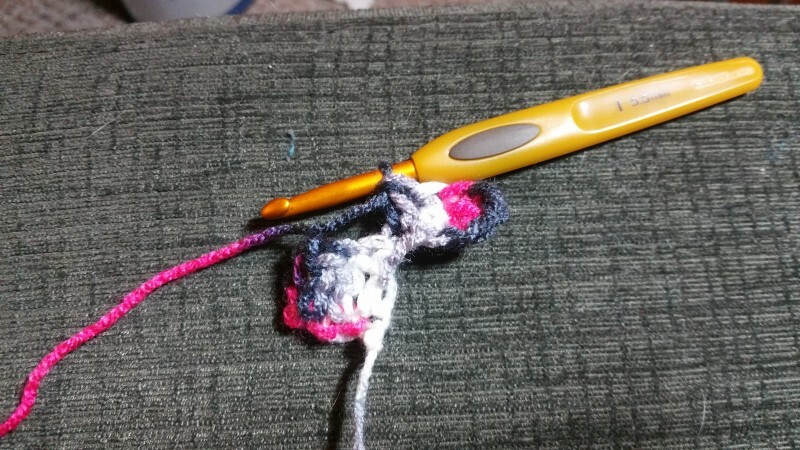 In the fourth chain away from the hook, make one double crochet. Double crochet in remaining two chains. You will have a little square at this point. 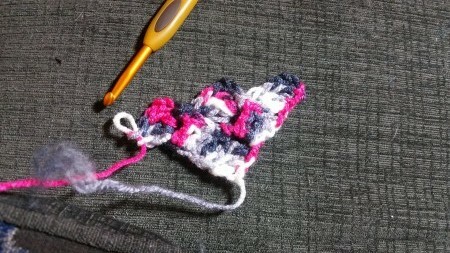 double crochet in remaining two chains – this will result in two squares next to each other. We’ll be joining these two squares together with a slip stitch in the next step. In the chain space, make three double crochets. You’ll end up with something that looks like a little heart. That’s it for this row! Chain six, turn the work over to start the next row. 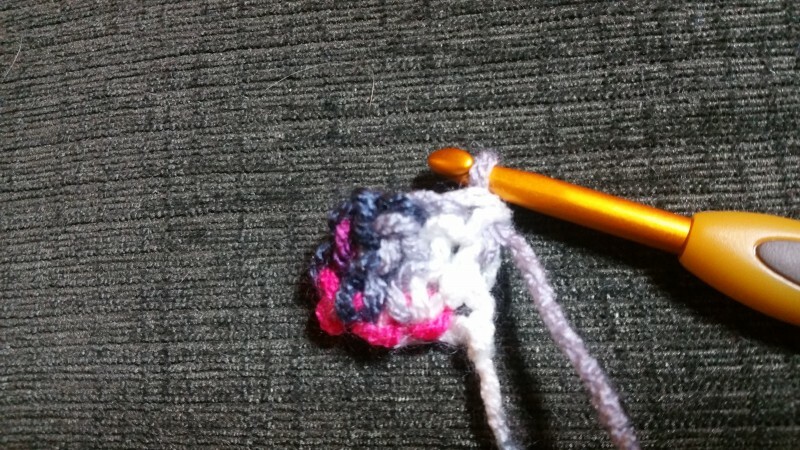 In the fourth chain from the hook, make a double crochet. Double crochet in remaining two chains. Here’s the steps you’ll repeat until you get to the end of the row. In 3-chain space, make one slip stitch, then make a chain of three. 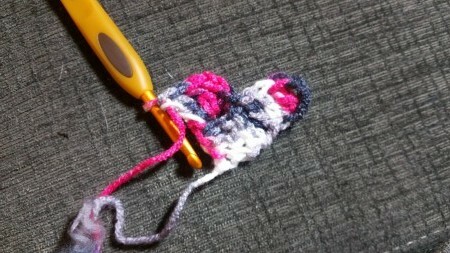 In the same 3-chain space, make three double crochets. Move to the next 3-chain space, start from step 4 again. Repeat until the end of the row. Once you get to the end of the row, start from step 1 in this section. Once you get to the desired size, just fasten off your last stitch and you’re done! If you learn better by watching, check out this video by Stitchinstacy on YouTube! She walks you through the process of doing the corner-to-corner stitch, but in more detail than the pictures I’ve got here.